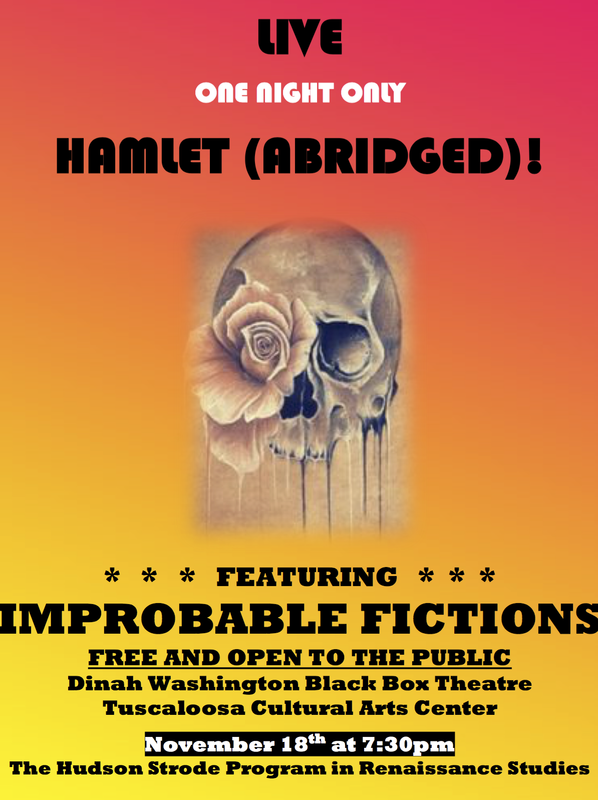 On Monday, August 22nd, at Tuscaloosa’s Bama Theatre, the Hudson Strode Program in Renaissance Studies presents Richard Burton’s 1964 *Hamlet,* the first film in our Shakespeare in Film Series for 2016-17. Film starts at 7:30pm, and the concession stand will be open.Free and open to the public! 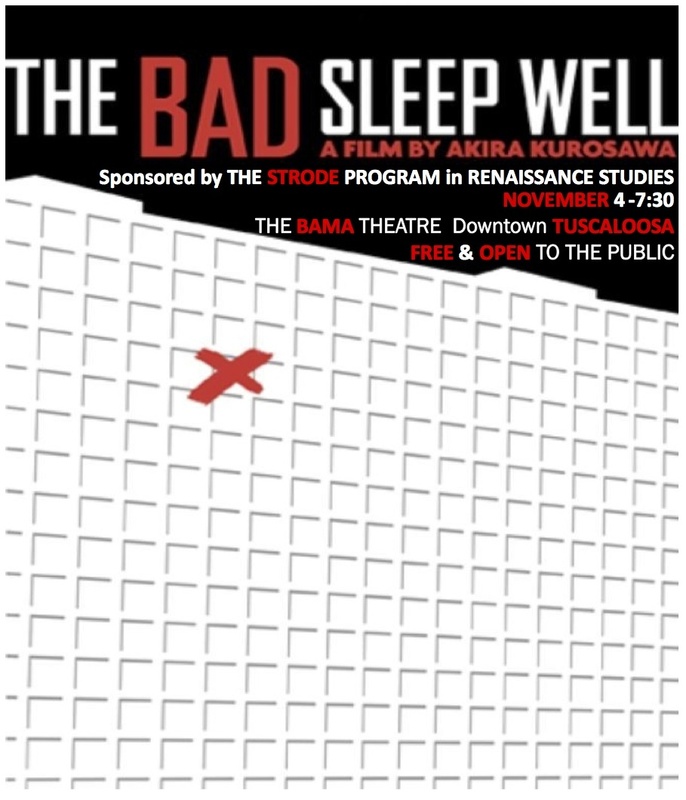 On Sunday, March 1st, the Hudson Strode Program in Renaissance Studies will host the American Shakespeare Center’s Method in Madness Tour. 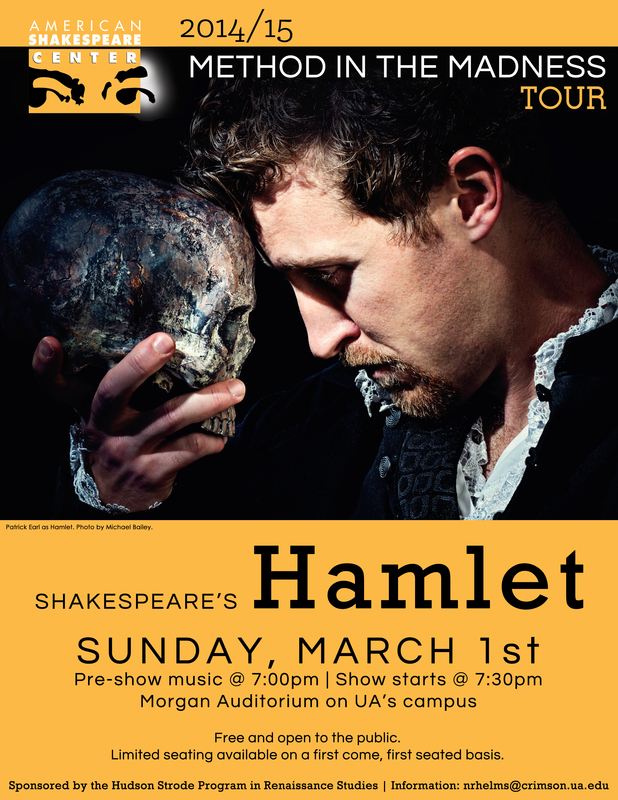 The ASC will be performing Shakespeare’s Hamlet in Morgan Auditorium that night at 7:30pm with pre-show music beginning at 7:00pm. The show will be free and open to the public. Seating is limited and available on a first come, first seated basis.